We’ve been doing the Bochet Solera Project for two years now. What is Exactly is the Bochet Solera Project? 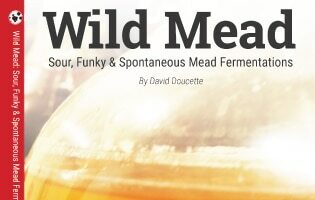 The style of mead in particular is the bochet. A mead with caramelized honey. Learn more about bochet making in general Here. Solera aging is a method of aging/ blending where both (blending and aging) occur simultaneously. Solera aging works like this: This is normally done in barrels but I’ll be doing oaked carboys for the sake of convenience. To start, for example: you brew a batch of bochet, and at 6 months, brew another one. At 12 months I will brew a third and so on at 6 month intervals to however many carboys you want. I’ll be working with three to begin. You can also do intervals as you see fit. When you are ready to bottle: You bottle only from your FIRST Carboy (your oldest batch). You also don’t completely empty the carboy. Instead you leave a portion behind (about 1/2 to 1/3) and refill the oldest carboy from the next oldest (your second carboy). And your second carboy is refilled from the third, and so on and so on until you reach your last carboy. Your last carboy is then filled with new must and fermented. This process creates a continuing line of mead which retains characteristics through many years of aging as there will always be a small portion of each new generation with each round of bottling. Why I chose Bochet style for this: The process in making bochet can be a bit unpredictable in that the amount of caramelization you get can change from batch to batch if you are even a minute or two off, or your temps weren’t the same as your last batch. This change loans itself well in emulating different characters of different years grape harvests. Bochets also lend themselves to excellent results when extensively aged (even more so than other meads in some cases). This is a home brewer community project that we’re doing. 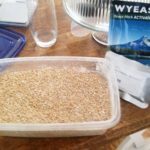 If you would like to join in, there is a thread on Homebrewtalk that explain the details of the group brew. Making an account is free if you don’t have one already. If you join one of thar forums and have questions I am “MarshmallowBlue” on homebrewtalk. You can also comment here. If you do want to join the group brew, but don’t join one of the forums, let me know here and I’ll add your name to the brewers list. You should be able to follow the forum threads regardless of joining or not. we’ve already been fermenting for a while, but you can join in any time! We have new people join up all the time. I have also created labels for when we get to bottling. These will make excellent gifts. We are approaching a year. 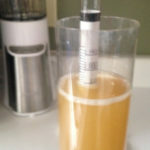 I just brewed my second batch, while some others are on batch 2 or 3. The first mead I made is already exceptional and it has a another couple years before it even gets bottled. Like I said before, anyone can join in the fun at any time. Happy Meading! We are approaching two years on the bochet solera project. I just brewed bottled my first round and blended. 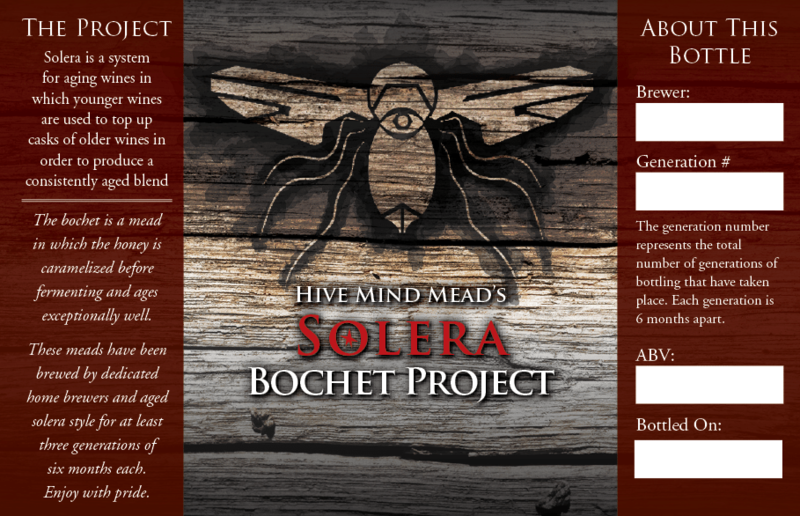 The bochet solera project was also featured on the MeadMakr Meadcast, which you can listen to here.